This is so true! Sadly, this happenned to me personally. I lost a beautiful relationship because of some silly misunderstand. Even today, I don’t know what went wrong but whenever ego, fear, hurt, anger, sadness or any other emotion take you away from connection and communication, you become vulnerable. Have an open heart who is compassionate and loving and try to repair the relationships that you still can and treasure the memories of the ones that are lost. 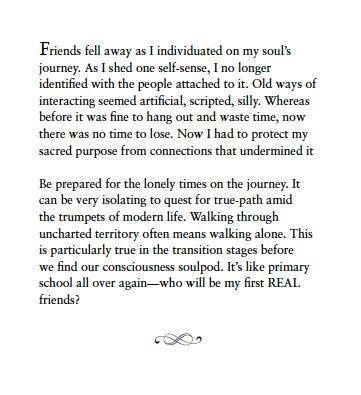 For those of us who believe in karmic relationships with other souls, I’m sharing some words of wisdom. For the past few years, I’ve encountered other souls with whom there were serious karma that needed to be addressed, however, at the time I wasn’t aware of what was happening so I played right into the horrible karmic cycle. So instead of working through the negative karma and seeing it for what it was, we actually created more negative karma. Now that I’m away from those relationships, I can see clearly what went wrong but now it’s too late to correct the situation and so I feel sad that those negative cycles will play out again in the future. My advice if you are experiencing struggle in a relationship, try to separate ego and emotion and focus on fact and how you can experience growth. Don’t fall prey to the karmic BS cycle. This is so true! We mustn’t lose our voice. Speak up even if you are uncomfortable, speak up even if it hurts your ego, speak up for those that are too young to speak up for themselves.